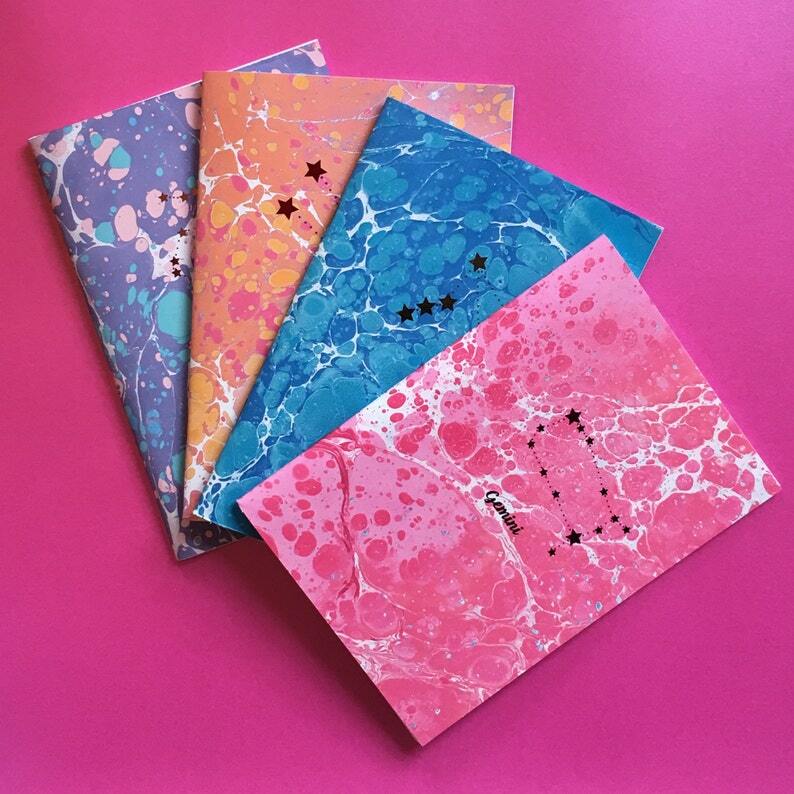 One beautiful A5 notebook, personalised for you from a choice of 4 unique marble designs created by me, 11 iridescent foils and either your zodiac star sign constellation or your name on the front cover! All of the designs are bright and bold in their colour hues and make a wonderful, personal gifts and will brighten up any desk. Every notebook features my own marble designs created on water which were then digitalised and printed, and are made to custom order for you. At checkout you will see a "message to seller" box, in here please type your name or zodiac star sign and make sure your spelling is correct before you check out! The perfect gift for the stationary loving person. Beautifully crafted. Beautifully wrapped. Just perfect. Thank you.